Ahhh, March Madness — the season in which your co-workers’ college basketball expertise is suddenly rivaled only by their confidence in filling out their bracket(s). Opening weekend is a national holiday for bettors and water-cooler warriors, usually culminating in the ritualistic burning of said brackets. I introduced mine to a lit match by about dinner time on Thursday. Some of us don’t even have our Final Four teams still intact through the first four days of action. There is one especially skilled picker on NCAA.com, however, who still has all 16 teams remaining. Not just that, this particular user has correctly picked all 48 games so far — not a blemish to be found on the sheet. It is an unprecedented, one-in-a-billion bracket. Well… it’s not quite one in a billion. Using betting data to calculate implied win probabilities, the odds of perfection through opening weekend are about 1 in 817 million. If you were betting on flips of a coin (for some reason), the math is fairly straightforward. With a fair coin, you have a 1-in-2 chance of winning a single flip, 1-in-4 of winning two in a row, and so on exponentially. Your odds of winning 48 consecutive coin flips are about 1 in 280 trillion. Basketball games are not coin flips, though. 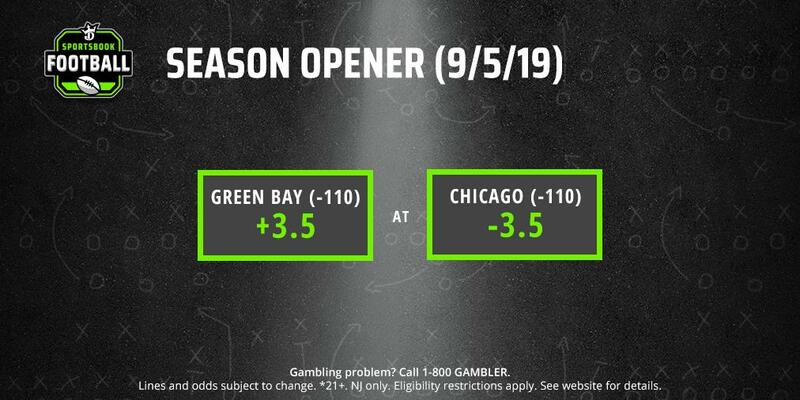 Calculating implied odds involves balancing the moneylines on each side of a game (from DraftKings Sportsbook), then multiplying the percentage for each correct pick. We also removed the operators’ vig to give us a better picture of the true odds. That math gives our brave bracketeer just a 0.00000012 percent chance of perfection through the first two rounds — 1 in 816,927,896. For comparison, your odds of winning the Powerball jackpot are just better than 1 in 300 million. This perfect-so-far bracket, by the way, has Gonzaga on the top line. Despite all of the chalk dust, building the perfect bracket required picking a few big upsets and dodging some bullets along the way. The betting odds show Liberty as the biggest upset on paper. The Flames closed at +280 for their first-round game against Mississippi State, giving them an implied win probability of barely 25 percent. Ohio State (30.42 percent), UC Irvine (31.46 percent) and Minnesota (33.64 percent) also won one game apiece as substantial underdogs. A couple of big favorites made brackets sweat on the way to victory, too. Auburn (72.93 percent) gave New Mexico State a look at a game-winning shot on Thursday, and Tennessee (75.95 percent) needed overtime to beat Iowa despite a 25-point lead in the first half of their second-round game. And, of course, Duke (88.64 percent) had serious trouble with UCF on Sunday night, escaping by just one point. For that matter, Virginia had the highest implied odds (96.63 percent) of the weekend, and even the ‘Hoos had to weather a threat from Gardner-Webb. In the end though, the perfect bracket came out looking a lot like chalk. The favorites went 16-0 in the second round for the first time ever, and no winner had an implied percentage lower than 57.5 percent. Check the odds for the Sweet 16 matchups here. If your bracket is busted or otherwise in flames, don’t despair. DraftKings Sportsbook is running a FREE Super 16 Bracket Contest, offering everyone a chance at a $16,000 prize pool with no entry fee required. Basically, DraftKings Sportsbook is hosting another, smaller bracket contest after running a free $64,000 contest before the tournament began. As with other contests of this type, all you need to do is select the winners of the remaining 15 games and receive points for correct selections. DraftKings is paying a whopping 3,680 places in the Super 16 contest. So, even though most of the awards will be small, it is still quite possible to win some money on this year’s tournament. The winner of this contest will collect $1,000, and the top eight finishers will get at least $100. The nice thing about this contest is that it is available to everyone. Because it is a free event, residents of all 50 states are eligible to play. So, there’s really no reason not to get in on the action. Even if your bracket is still doing well, turning down a shot at more free money is just silly. Ironically enough, a busted bracket in this year’s tournament is likely because the seeding was too accurate. Only one double-digit-seeded team (Oregon) made it to the Sweet 16. In fact, the selection committee perfectly chose two regions. In both the East and West regions, only the top four seeds remain. The other two regions are not much more of a deviation, either. The top three seeds in every single region are still alive, and only 5-seed Auburn and 12-seed Oregon are any sort of surprise. So, a busted bracket is probably because things were a bit too obvious this year. In a sense, everyone outsmarted themselves by expecting more unexpected outcomes. What’s next in this tournament? This tournament is notable for not only its conventionality, but also its disparity in performance. Eleven out of the 16 games in the Round of 32 ended with margins of victory in excess of 10 points. The favorites crushed almost every upstart team with Cinderella dreams. Media darlings like Murray State, Buffalo, and defending champion Villanova all passed out of the tournament with a whisper. So, it’s tempting to predict that this year’s tournament will proceed as the 2008 tournament did. That year, the four #1 seeds emerged from their respective regions to make the Final Four. So, none of these teams has had to struggle with its competition yet – a claim that overall #1 seed Duke cannot make. It’s reasonable to assume that at least one of these squads is tough enough to nab one of the Final Four spots. The question is which one(s) it will be. Make your choices, and play the Free Super 16 Challenge at DraftKings Sportsbook. Duke was one of the few favorites that failed to cover the point spread in the second round of the NCAA Tournament. The Blue Devils were fortunate to escape with a victory, as UCF was this close to pulling off March’s biggest upset against Duke. Top-seeded Duke was a 13.5-point favorite over No. 9 Central Florida. After surviving 77-76, No. 1 Duke goes to Washington, DC, for the Sweet 16 and plays fellow ACC-foe Virginia Tech. The winner plays the winner of the Michigan State vs. LSU game and earns a trip to the Final Four next weekend. All four No. 1, No. 2 and No. 3 seeds advanced to the Sweet 16. Every favorite won during the weekend, going 16-0 SU and 11-5 ATS off the closing lines at FanDuel Sportsbook. Tennessee and Virginia Tech both covered the opening numbers in games that landed right near the number but bettors that bet late lost on those favorites. It’s hard to believe not a single upset occurred in the round of 32. Since the NCAA Tournament field expanded to 64 teams in 1985, this is the first time all 16 favorites won in the round of 32 and advanced to the Sweet 16. On three previous occasions, 15 of 16 favorites won and advanced out of the round of 32. Duke was the closest to being eliminated, and it was ever so close after trailing UCF by 4 points in the final two minutes and by 3 points with less than 30 seconds left. Duke’s Zion Williamson made a layup and was fouled with 14 seconds remaining. When Williamson missed the free throw to tie the game, fellow freshman star R.J. Barrett got the offensive rebound and put it back in to give Duke the lead, 77-76. Following a timeout, that set up the two missed close-in shots by UCF with a layup and tip-in just rolling off the rim to let Duke escape. Both Duke’s Zion Williamson and UCF’s Aubrey Dawkins scored 32 points. But most bettors lost on Duke (-13.5), as the Blue Devils took 72 percent of the spread bets at FanDuel Sportsbook. Moneyline bettors may not try that again on a big favorite, as Duke also had 81 percent of the moneyline bets. Millions of brackets also avoided being busted at Duke is the heavy favorite and most selected team in the brackets to win the National Championship. The lines were set for every Sweet 16 game on Sunday at sportsbooks including DraftKings in New Jersey. Top seeds Duke and Virginia are both sizeable favorites over Virginia Tech and Oregon, respectively, while No. 1 North Carolina is -5.5 over Auburn. In a rematch of last year’s Sweet 16 contest won by underdog Florida State, Gonzaga is -7 over FSU in their West Region matchup in Anaheim, CA. If the preseason rankings of the top 25 teams, 12 of them have advanced to the Sweet 16. Kansas was the highest-ranked team that did not advance, while Duke has been the favorite from the start of the season and was a prohibitive favorite at 2-1 odds prior to the NCAA Tournament. Well, that was a quick week. The field of 68 in the NCAA Tournament has already been trimmed down to 16 following the first week of March Madness. Now, the stakes increase even more. Only four wins stand between one remaining team and the title. The Round of 16 will take place on Thursday, March 28, and Friday, March 29, followed by the Elite 8 on Saturday and Sunday. Final 4 weekend tips off Saturday, April 6 in Minneapolis. Below are the betting lines for the Sweet 16 matchups at DraftKings Sportsbook, along with futures odds for remaining 16 teams at DraftKings, FanDuel Sportsbook and BetStars in New Jersey.